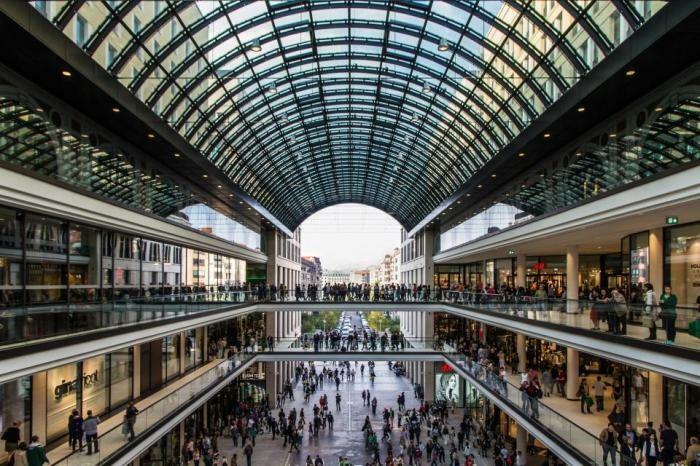 With 248 stores the Mall of Berlin is the biggest Shopping Center in Berlin, offering everything one could wish for. 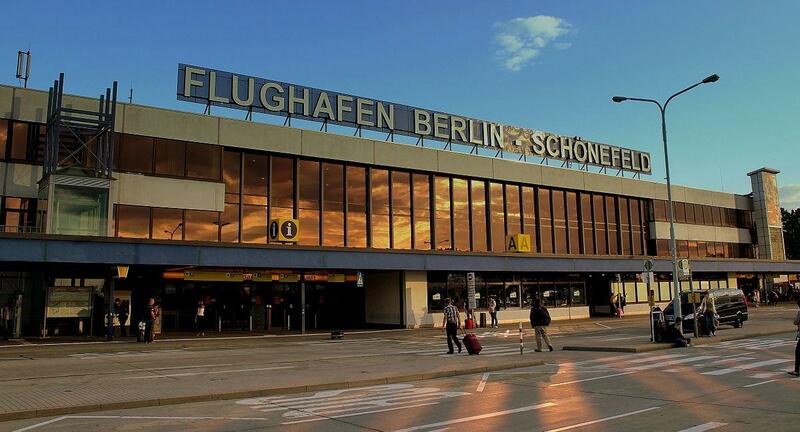 From Berlin International Airport Tegel, taxis are available 24 hours a day to take you to the Hilton Berlin hotel. The journey time is approximately 30 minutes. The Siegessäule was build in 1864. 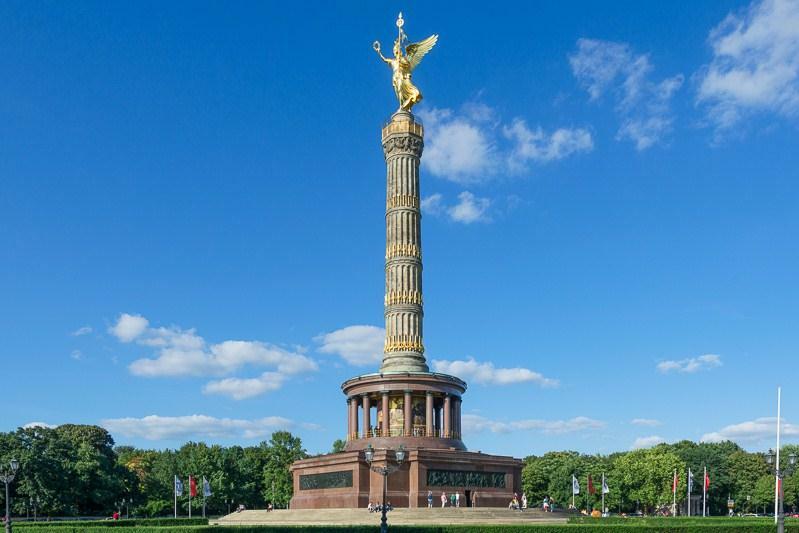 In the middle of Tiergarten the Siegessäule offers a breathtaking view over whole Berlin., that is after you climbed the 285 steps. Together, the Field of Steles and the exhibit remind the world of up to six million Jewish victims of the holocaust and honor them. 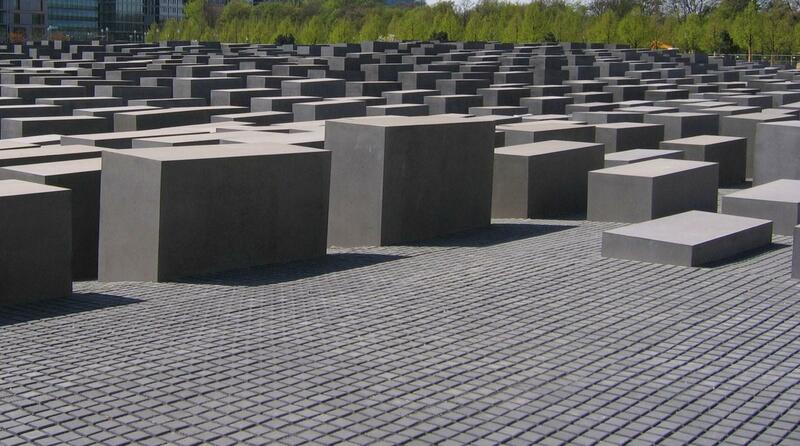 The Field of Steles is within walking distance of the Hilton Berlin. 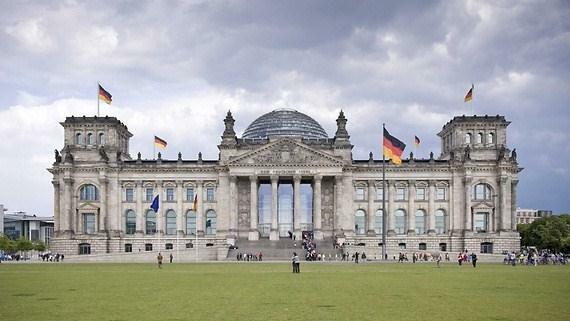 The Reichstag and the Brandenburg Gate are within walking distance of the Hilton Berlin (approx. 15 minutes). Both became the landmarks of Berlin. 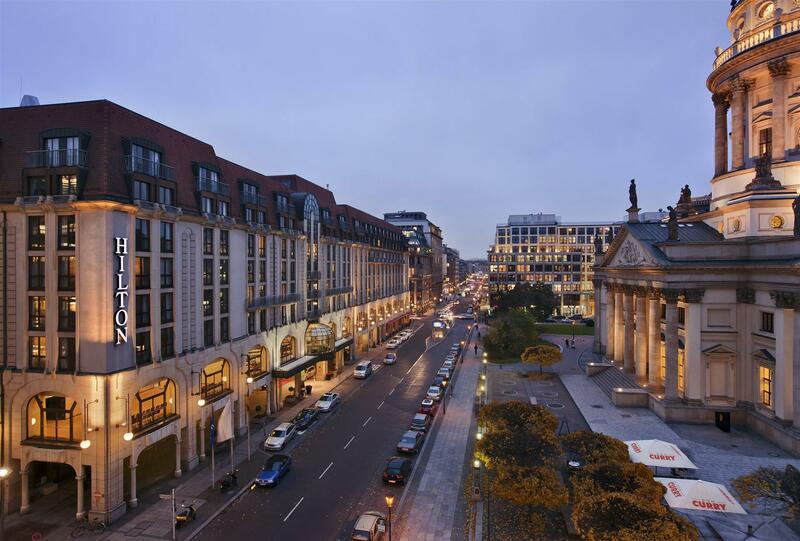 From Berlin Brandenburg Airport, taxis are available to take you directly to the Hilton Berlin hotel. The journey normally takes around 50 minutes from the airport to the hotel. 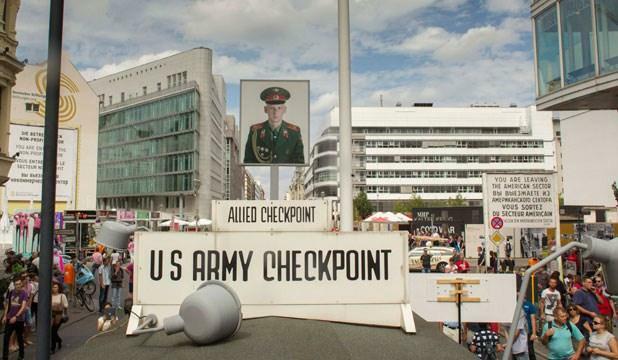 During the Cold War, Checkpoint Charlie was one of the best-known border-checkpoints in Berlin, being the one of the three allied checkpoints the Americans crossed frequently. The name has its origins in the International phonetic Alphabet, where the letter C is officially called Charlie. 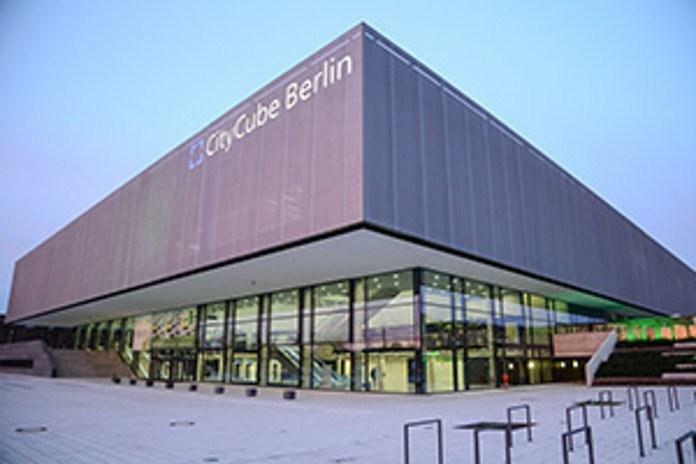 Checkpoint Charlie is only a stone’s throw away from the Hilton Berlin. 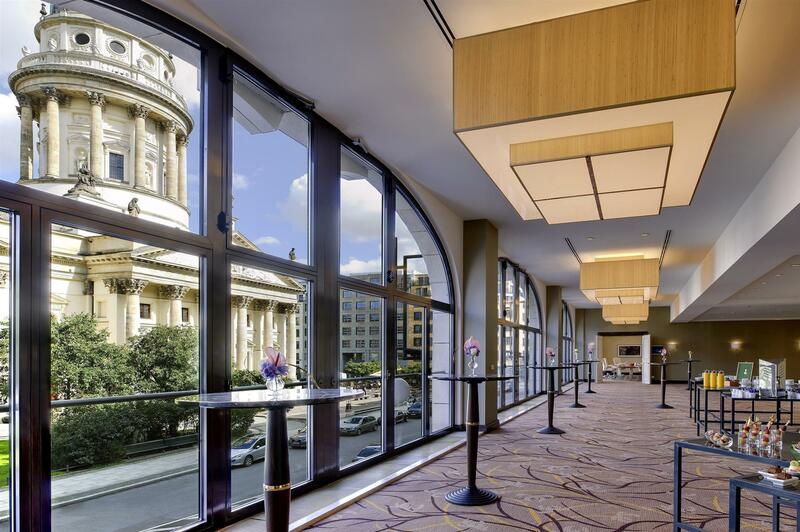 A warm welcome to the Conference and Events Area at the Hilton Berlin. 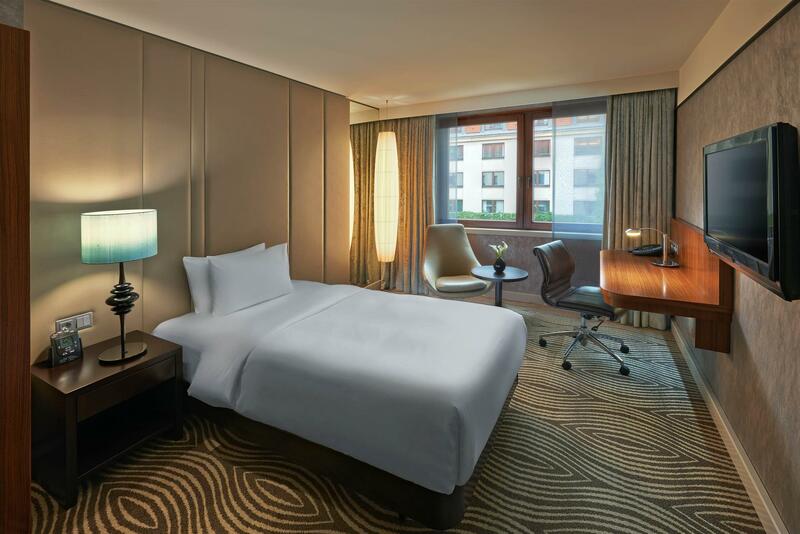 Situated in Berlin's city center and close to Berlin's major attractions – Hilton Berlin provides one of the highest quality and most modern facilities of its kind to be found anywhere in the German capital. 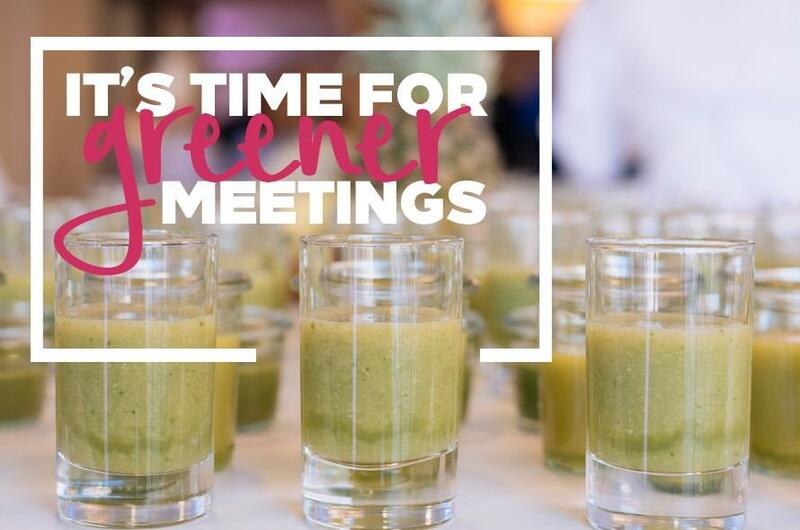 We ensure that all your meetings and events requirements are met. We have thought of everything. Large windows allow the natural daylight to flood in, warm decorative colors used will lift your spirits and ergonomically designed furniture provide you maximum comfort- and healthiness! 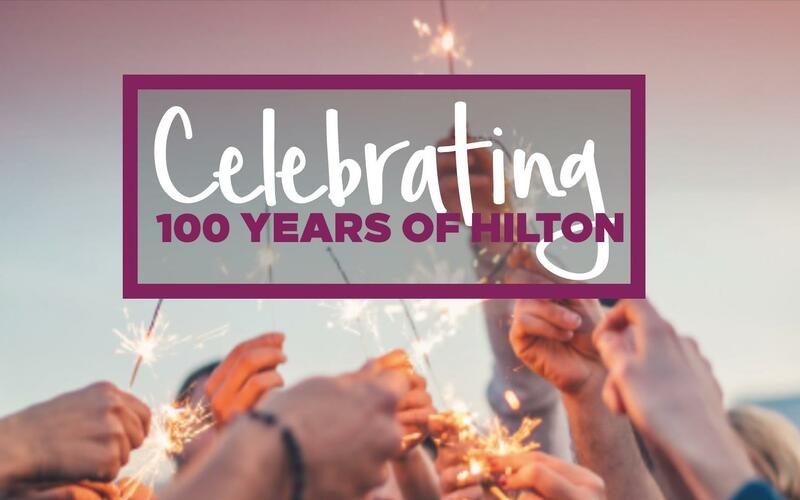 The Hilton Berlin offers 601 comfortable rooms and suites, all of which feature a contemporary design and which make the Hilton Berlin the ideal venue for events extending over several days. 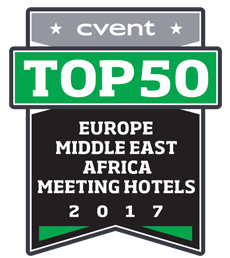 The 360m2 Executive Lounge offers free breakfast, free WiFi, drinks & snacks in an exclusive atmosphere and with individual flair. 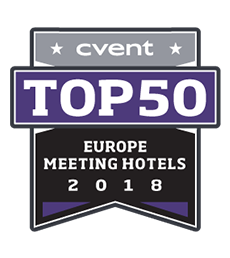 We are pleased welcoming you at our hotel in the future! The cancellation policy depends on the season and the size of the event. For further information please contact us. 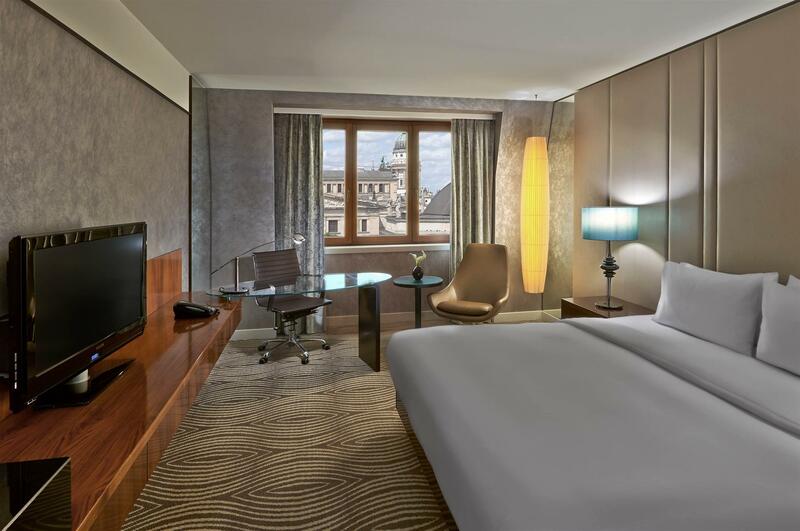 The Hilton Berlin, located on Berlin's most beautiful square, the historic Gendarmenmarkt, is just moments from the French and German Cathedrals, the concert house and Berlin’s major attractions such as the Berlin Wall, Brandenburg Gate, Check Point Charlie and the Reichstag. 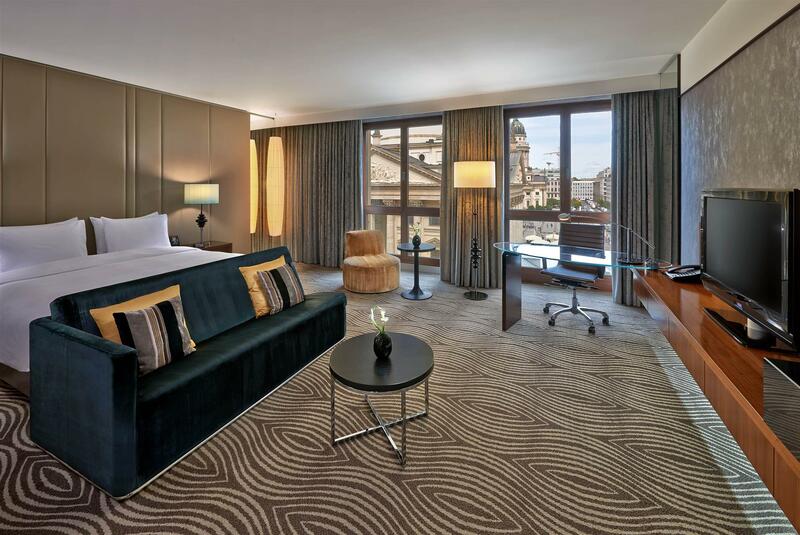 With the biggest shopping boulevard, shopping street and the famous Kurfürstendamm around the corner, Hilton Berlin is the ideal base for exploring the city center. Additionally taking in the vibrant atmosphere of the city or for discovering the legendary nightlife. At the 360m2 Executive Lounge, based on the lobby level, the service team is there for you with snacks & drinks throughout the day. Here, you enjoy individual flair and exclusive atmosphere while relaxing or working. This spacious Lounge offers a variety of additional services: •	complimentary breakfast buffet •	private check-in and check-out •	light refreshments and drinks throughout the day •	warm snacks & canapes from 6.00 -8.30 pm •	two separated meeting spaces to conduct formal and informal meetings •	work stations with internet access •	choice of newspapers Our ballroom is the ideal place for shows and exhibitions. It can be divided into 3 separate conference areas using soundproof partitions. It has air-conditioning, an integrated projector screen and projector. 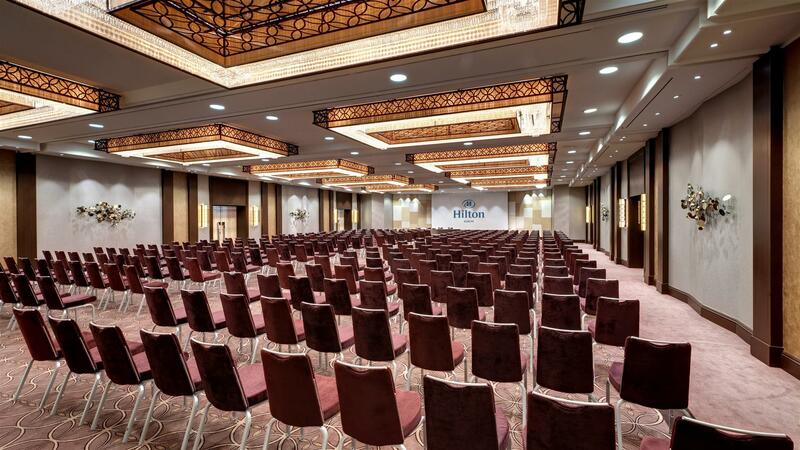 All Hilton Meetings rooms, group discussion rooms, conference facilities and the Business Centre are situated on one floor. In the “Mark Brandenburg” Restaurant – traditional yet modern – you can sample regional cooking with a modern twist at its very best. 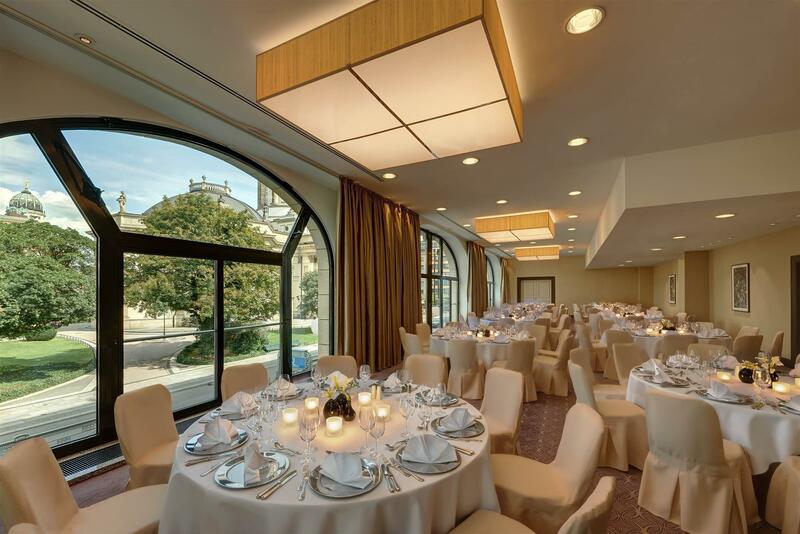 The “Dom-Eck” offers enough space for small events with an atmosphere of privacy. Allergy sufferers can enjoy a great selection of dishes at our Restaurant, which has also been certified by the ECARF. The Listo Lobby Lounge is an inviting spot to linger. Various settings within this area are suited to dining, meeting, socializing and drinking or finding some privacy. A coffee break outside? 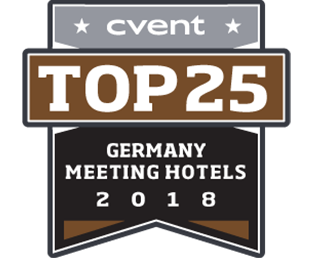 Discover the king of Berlin street food – the currywurst – al fresco on the terrace of our Dom Curry and enjoy curried sausage served with fries and a well-chilled coke!